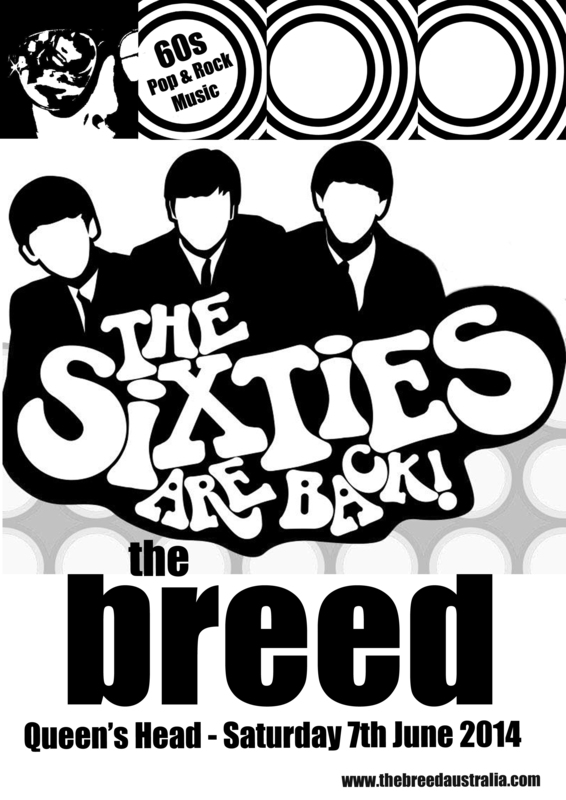 The sixties are back with the Breed at the Queen’s Head Hotel in North Hobart on Saturday 7th June 2014. So for a fab, far-out and groovy time, you know where to come. Thanks to all those who came along the The Queen’s Head Hotel on Saturday night. 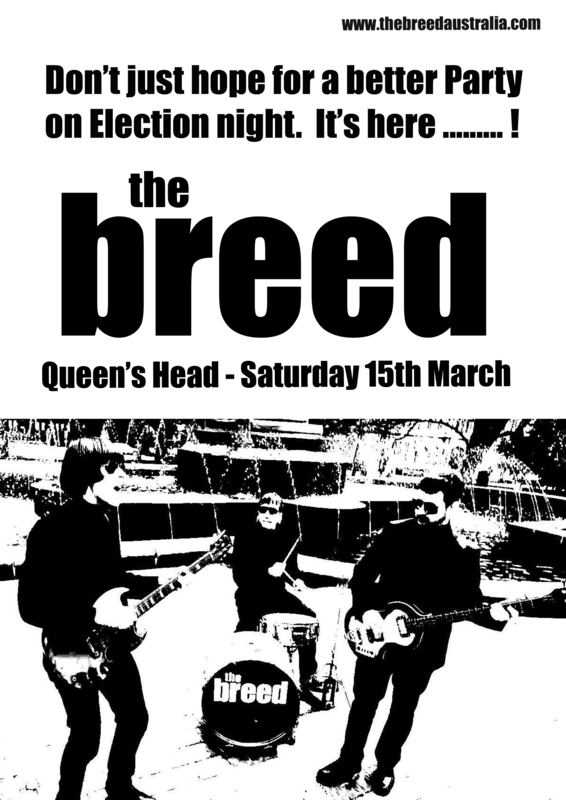 The Breed will be back there again on the 15th March 2014. We hope to see you all then. 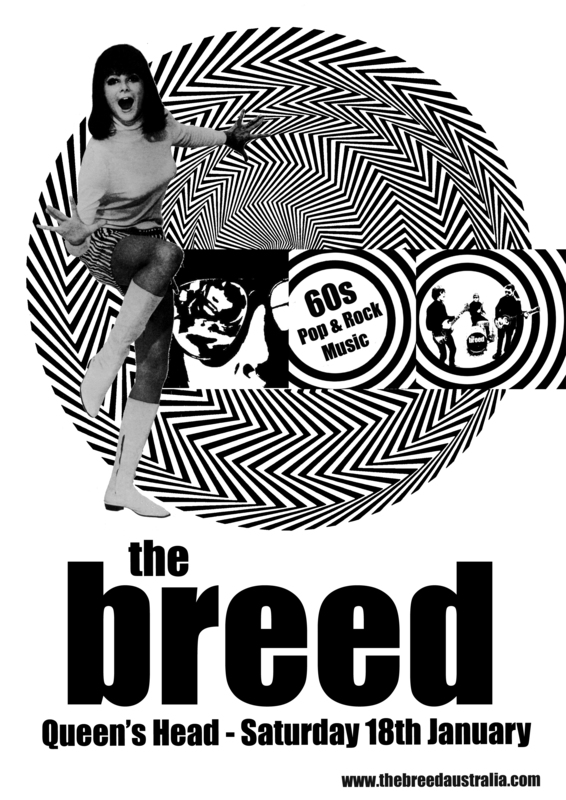 Get in with the In-Crowd, when The Breed bring their unique blend of 60s pop/rock music to the Queen’s Head Hotel on Saturday 22nd February 2014.